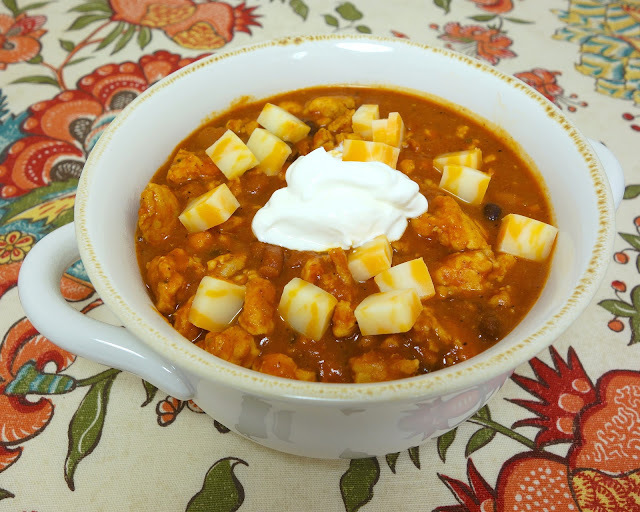 Buffalo Chicken Chili - ready in under 30 minutes!! Ground chicken, black beans, chili beans, tomato sauce, chicken broth, buffalo sauce, chili powder, cumin, garlic and onions - SO good! Can adjust the heat up or down to your taste. Top with cheese and sour cream! I had some leftover wing sauce and I decided to make some Buffalo Chicken Chili with it. It was SO delicious. I used ground chicken. 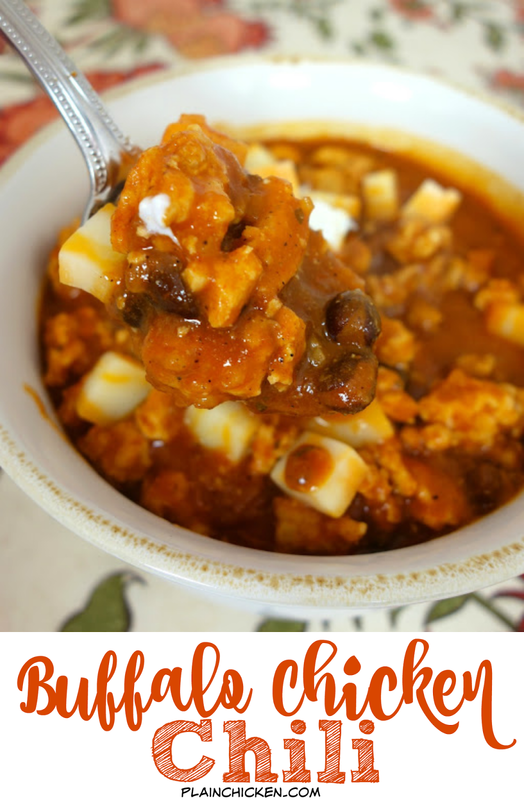 This was the first time that I have ever used ground chicken - it was great in this chili. It cooked up easily and had little to no fat. This chili had a kick from the wing sauce. I would suggest starting with a 1/2 cup and gradually more if you like your food spicy. I added a whole cup of wing sauce, but I love spicy food. I served the chili with some of my favorite Butter Dip biscuits (I added cheese). Everything was great, and it was even great reheated for lunch. This would be a great addition to your Super Bowl party this weekend! Brown meat in a Dutch oven with olive oil over medium heat, stirring until meat crumbles and is no longer pink. Drain any fat. Return meat to Dutch oven. Add remaining ingredients. Bring to a boil. Reduce heat and simmer 25-30 minutes. I think I'll make this for Sunday and they can either eat in a bowl or over chips for some yummy nachos! One of my favorite soups in the world!!! Definitely a crowd pleaser.....might have to make that for the Super Bowl! 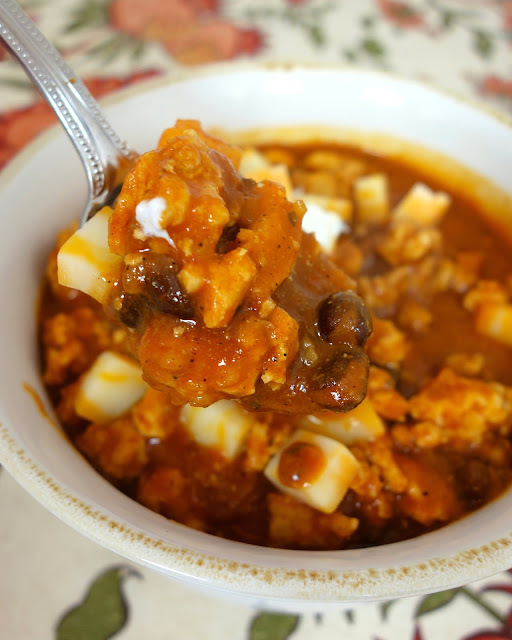 That is exactly the way I like my chili with big chunks of cheese. This is on for tomorrow! Can I do this in the crock pot you think? With frozen breasts? How long would you cook it? ?